Gold Porphery Cobbles on mesh are suitable for paths and landscaped areas. 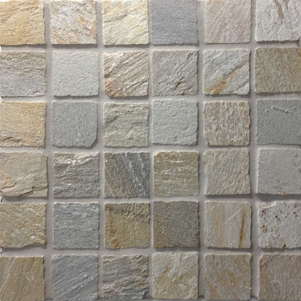 All natural stone has variations in colour and texture, and shades may vary from the sample supplied. We recommend that all limestone tiles are sealed with a penetrating sealer.